The Little Lemon Drops Junior Guild would like to thank their sponsors, prize donors, raffle ticket buyers, and guests who helped them raise over $23,000 for uncompensated care at Seattle Children’s Hospital! 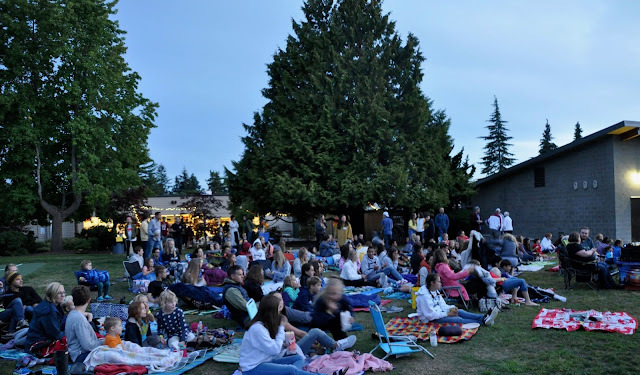 Over 200 people came to see "The Incredibles" on the large outdoor screen and enjoy the fun activities at their annual outdoor movie night and raffle on September 8, 2018. All of the funds will be donated to the hospital for uncompensated care, meaning families will be able to obtain quality healthcare for their children without worrying about paying for the services. At the event high school senior Lily Okamura was celebrated for her years of service and leadership. The guest speaker, Isabel, spoke about her experience as a patient with Seattle Children's hospital since she was an infant. She is now in 7th grade at Einstein MS. The Little Lemon Drops Junior Guild started in 2007 with a small group of young girls who donated proceeds from their lemonade stand to Seattle Children’s Hospital. In the past 10 years, they have hosted three pickleball tournaments, sold necklaces and hair ties, baked cookies and lemon curd, and organized seven outdoor movie nights. The Little Lemon Drops Junior Guild has grown to an enthusiastic group of twenty-two 10-17 year old girls, who are all doing what they can to help provide kids an opportunity to receive the highest quality healthcare, regardless of their ability to pay. To date, the guild has raised over $125,000 for Seattle Children's Hospital! 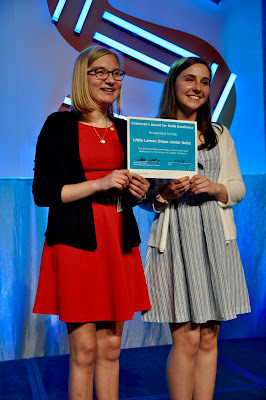 In May 2018 they received the Seattle Children's Hospital Guild Association Chairman's Award for Guild Excellence.